Women from history give us tantalizing glimpses of what life was like for women in the centuries before we were born, but sometimes it’s worth looking at women’s lives through the eyes of men. One of the unlikely observers of women’s lives was the African explorer Mungo Park. Born in Scotland in 1771, Park was hungry for adventure and travel, and he certainly got his fill of those. In 1795, he got funding from the African Association in London to explore Africa and if possible locate the sources of the rivers that enabled trade to the interior. The Association wanted someone who could provide an accurate map of Africa. Too impatient to wait for the Association to hire the fifty men originally planned to go with him, he left on May 22, 1795, on the brig Endeavor. After sailing for thirty days, the ship arrived at Jillifree, a town at the mouth of the Gambia River in West Africa. During all of his travels Mungo Park distinguished himself by paying a lot of attention to African life and to learning how tribal societies worked. He admired the strength and courage of many Africans, but disapproved of the way they treated their women. In one village, Mungo saw a ceremony that shocked him. It started when darkness fell and he heard screams from the forest. Soon a masked man appeared and all of the villagers assembled in the central square. The ceremony began with singing and dancing, but even as they danced, the women were afraid. They knew the ceremony had been started by a husband who was angry with one of his wives, but no one knew whose husband it was. At last the masked man pointed to one woman, and men hurried to tie her to a tree. She was beaten as a punishment for not obeying her husband. The women who watched were expected to learn their lesson and be obedient to their husbands after seeing the harsh punishment. Mungo Park was captured several times during his travels and held as a captive by tribal chiefs who were suspicious of his motives. He escaped successfully from one captivity by sneaking out of his tent in the middle of the night, but found that the harsh landscape was a greater threat than the chief. He walked for miles trying to find a water hole. As the sun rose, the hot sand reflected heat until the sand began to shimmer. Mungo grew dizzy watching it. He had to find a water hole. Climbing a tree gave him a wider view, but there was no sign of a water hole. The land was sandy and desolate as far as he could see. His horse was thirsty, and too tired to carry him. Hoping the horse would survive even if he himself died of thirst, Mungo removed his bridle. As he did that, his dizziness overwhelmed him and he fainted on the sand. When he recovered consciousness, Mungo realized the horse had not run off but was munching dry grass nearby. The sun was sinking and the sand was a little cooler. Mungo resolved to make another effort to reach water. He led the horse onward in the direction of Bambara. It was now dark, but Mungo could read his compass by the lightning which continued to flash. Finally the rain came—a downpour. Hastily Mungo spread all of his clothes on the ground so the rain could soak them. He quenched his thirst by wringing and sucking the wet cloth. At last his parched throat had some relief. The horse opened his mouth to let the rain fall on his tongue, and Mungo helped by squeezing water into his mouth too. The water gave them strength to move on. At last he found a Fulani village, but the people refused to give him food. He turned to leave, and noticed a few huts outside the main village. Hoping to find more sympathy there than from more prosperous citizens, he approached them. At the door of one hut, an elderly woman was spinning cotton. He gestured to indicate that he was hungry, and she immediately invited him inside. There she brought him a bowl of couscous left from the night before. In return for her generosity, he gave her a pocket handkerchief. The kindly woman even provided corn for his horse, so Mungo left her hut feeling more comfortable than he had for days. When at last Park reached the city of Segu and located the Niger River, he felt triumphant, but he found no welcome among local people. The king of the area refused to see him and once again he had to rely on the kindness of women. A woman passing by from her work in the fields she saw how tired and hungry Mungo looked. She invited him into her hut, spread out a mat and told him he could remain for the night. She also prepared food for him and gave him grain for the horse. Then she called the rest of the women of the family together and they continued their work of spinning cotton while Mungo rested on the mat. “The winds roared, and the rains fell. No wife to grind his corn. 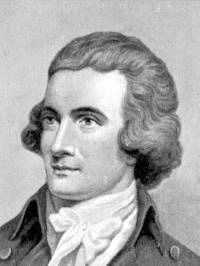 When Mungo Park finally returned to England, he wrote a bestselling book about his travels in Africa. It remained in print for generations and many people learned from it something about the lives of Africans. The history of the nineteenth century shows that Europeans did not learn enough, but Mungo Park made at least a first attempt in that direction.